REAL 1500mW 1.5 watts 445nm Blue Laser Pointer (Class 4 IV High Power Handheld Burning Laser), same as, or even better than many "10000mW lasers" or "10W lasers" from other sellers. Powerful & dangerous: lights up matches, cig. & papers in seconds. 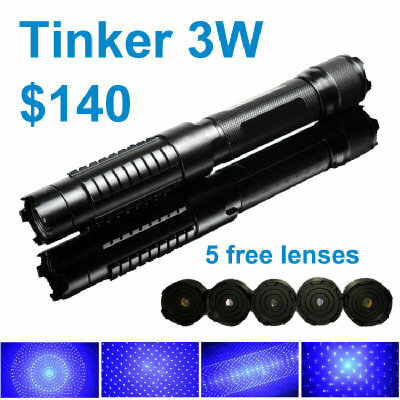 Compatible with Interchangeable-Zoomable-Lens, you can buy other lenses to get more beautiful light effects for this laser device.